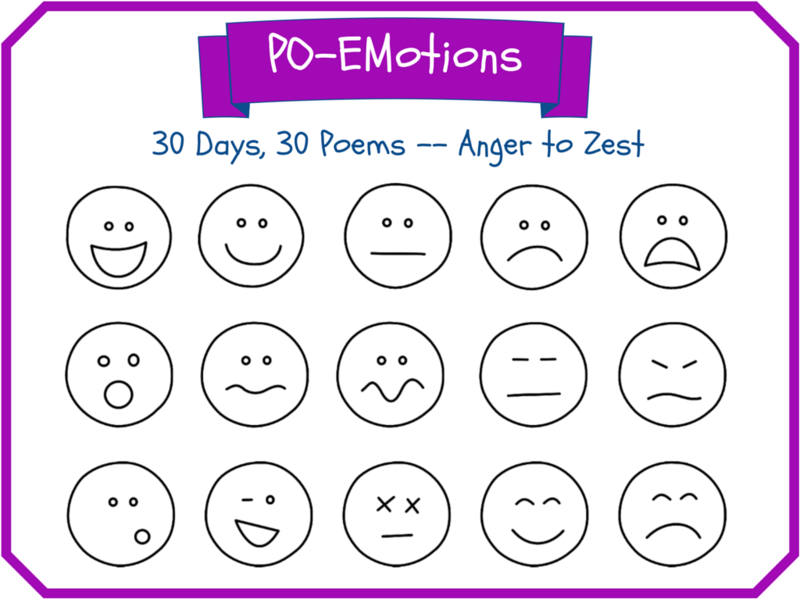 This year, I will write a poem a day that either evokes an emotion, or uses an emotion word in the title or body of the poem. I will be cross-posting at A Year of Reading. You are invited to play along whenever you have the time or inspiration! Leave your poems or links in the comments (on either site). The emotions came from this list. The graphic for this year's project was created on Canva. The first 8 (April 1-8) are from the theorist Plutchik. I rearranged the order to describe how I'm likely to feel about this project early on. The next 4 (April 17-20) are from the theorist Frijda. (His list overlaps Plutchik's and Arnold's with desire and surprise.) We'll need his mostly hopeful list to make it through the next one. The last 6 (April 25-30) were chosen from Shaver, et al. (2001)'s list of secondary emotions for the primary emotion joy. After three weeks of emotional ups and downs, I decided to end on high notes. These words, like the first 8, likely describe how I'll be feeling at the end of this month and this project. Especially #30. I love this list. Will try to write some from your list. What a lot of thought you've put into choosing! Looking forward to following along.